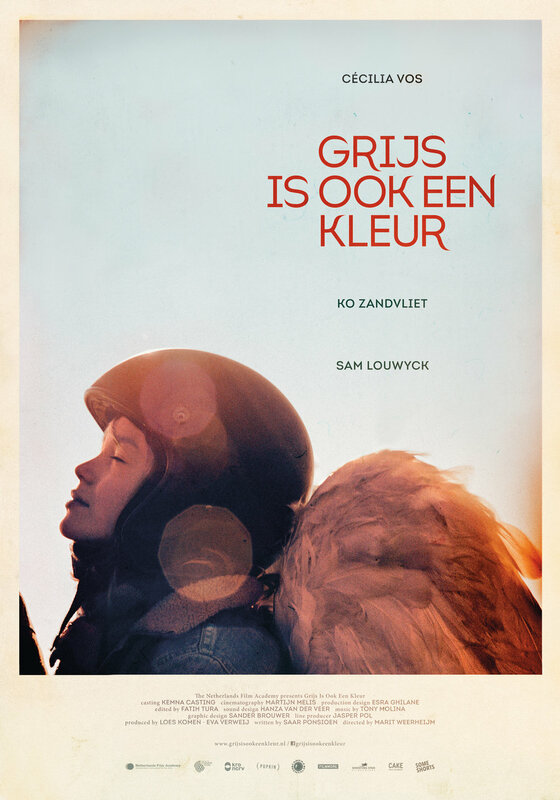 When Grey is a Colour is a short film directed by Marit Weerheijm. Is life worth living if all your days are grey? In this coming of age film, the young Cato is confronted with her older brother who comes back to live at home after a suicide attempt. Despite Cato’s efforts to reconnect with her brother, he remains withdrawn. When she doesn’t know what to do anymore, she unexpectedly meets a strange man with large, white fake wings.